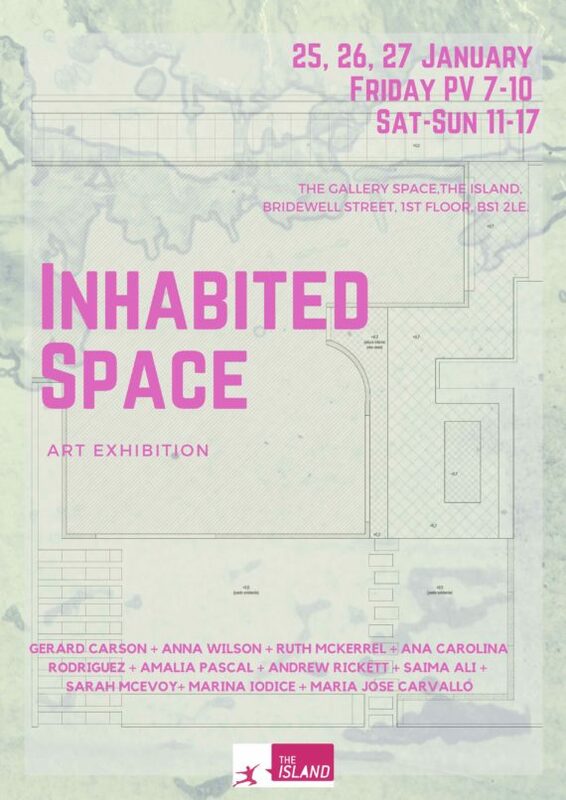 Inhabited Space is an international group exhibition. We are interested in bringing together different languages and mediums of contemporary art to discuss the concept of “inhabiting”. Every artist has proposed different stances to this concept. Through their work, they interrogate how to live in particular spaces, how to occupy public scenarios as well as depicts reflections on human and fictional beings. The exhibition reflects on these stances and their transits from intimate experiences to political, poetical, and social manifestations.